Spirit Wars is an exploration of the ways in which the destruction of spiritual practices and beliefs of native peoples in North America has led to conditions of collective suffering--a process sometimes referred to as cultural genocide. 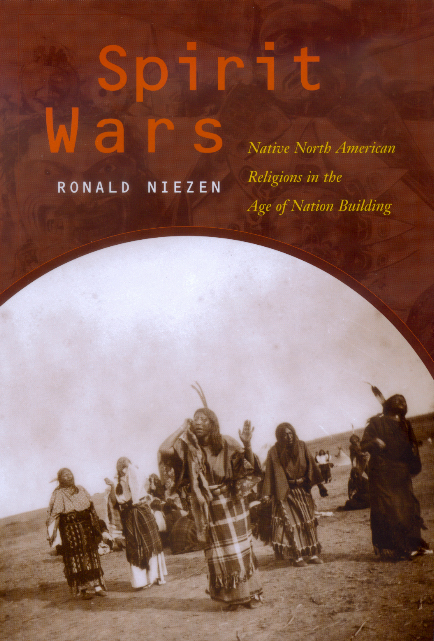 Ronald Niezen approaches this topic through wide-ranging case studies involving different colonial powers and state governments: the seventeenth-century Spanish occupation of the Southwest, the colonization of the Northeast by the French and British, nineteenth-century westward expansion and nationalism in the swelling United States and Canada, and twentieth-century struggles for native people's spiritual integrity and freedom. Each chapter deals with a specific dimension of the relationship between native peoples and non-native institutions, and together these topics yield a new understanding of the forces directed against the underpinnings of native cultures. Ronald Niezen is Research Scholar in the History Department, University of Winnipeg, and is currently engaged in field research with the Pimicikamak Cree Nation. He has worked with a number of native communities in northern Canada and has served as a delegate to the United Nations Working Group on Indigenous Populations.